While wood windows are low maintenance, regular upkeep is important to ensure they remain in good condition and provide long-term performance. Stittsville Windows and Doors, your go-to source of replacement windows in the area, shares wood window care tips. Dust and dirt can accumulate on the wooden frames, so clean them regularly to help retain the windows’ overall aesthetic. Also, note that wood windows are prone to moisture, which you must address right away. You don’t want water to seep through the other components of your windows as it can lead to early failure. Start cleaning them by using a fresh, dry cloth to remove loose dust or dirt. Scrub as needed to remove stubborn grime, and then wash the window frames using either dish soap and water solution, or a cleaning product made for wooden frames. Wipe the window dry afterward. To keep the window frames in good condition, inspections must be done every month, taking note of cracks, mildew growth and paint damage. More often than not, you can solve these through refinishing. Use wood filler to fill cracks. Fine-grit sandpaper helps you remove chipped paint or mildew. 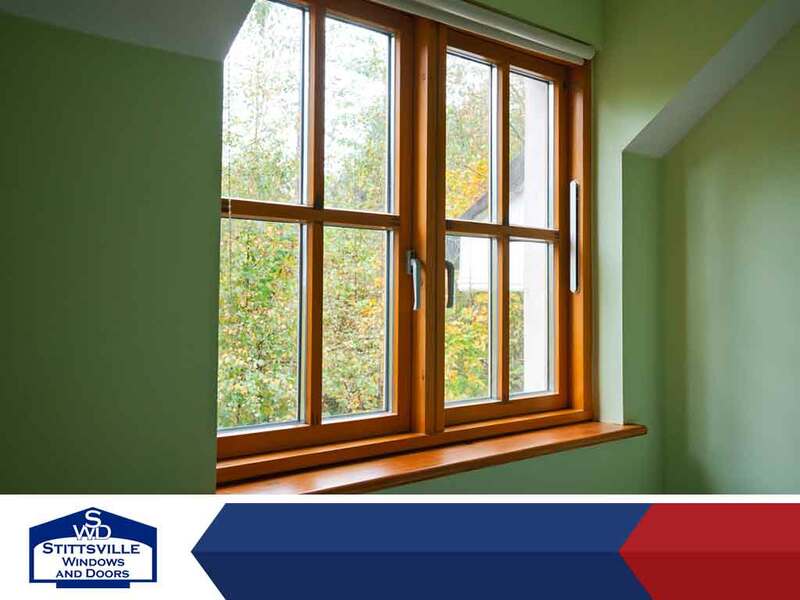 You can revitalize your wood windows’ natural look with a new coat of paint or stain. Before doing this, however, you must protect the window glass using painter’s tape. Some problems of wood windows, however, are beyond repair, so the only solution would be to replace them. The material may be past its service life or has shrunk. Either way, getting new wood replacement windows is the best course of action. Fortunately, Stittsville Windows and Doors offers new windows. Apart from their undeniable beauty and functionality, our wood windows have natural insulation features, allowing you to enjoy energy savings and a more comfortable interior for years. We are the replacement window company to turn to if you want to incorporate these windows into your home improvement project. Call us at (613) 706-1922 to get started. You may also fill out our contact form for a free, no-obligation quote. We serve residents of Stittsville and Kanata, ON.